Our friend's birthday was a month ago. One of his favourite chocolates is the Cadbury Marvellous Creations - popping candy. 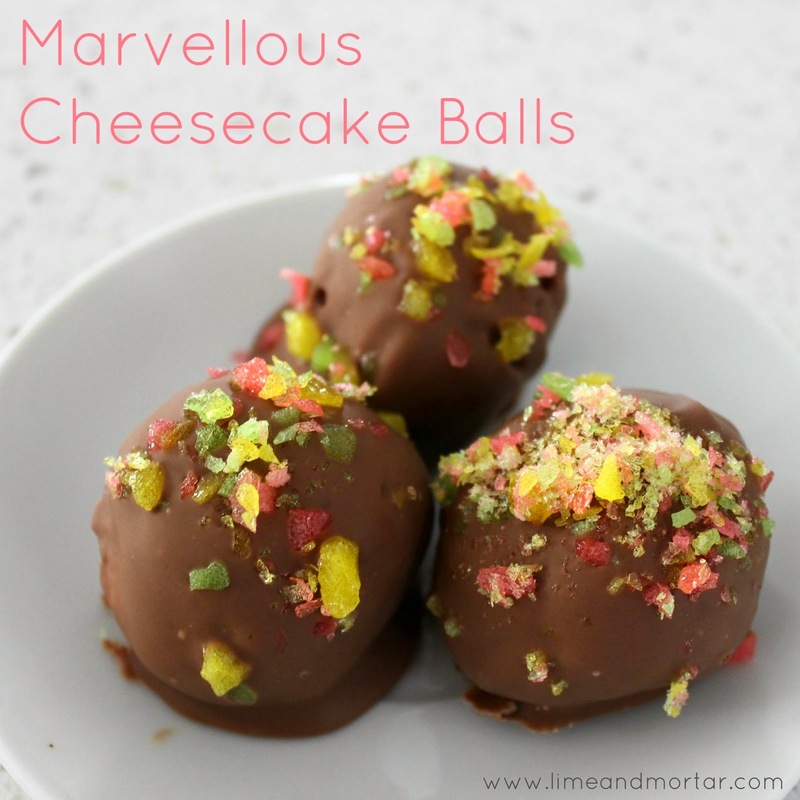 I decided to create cheesecake balls using all the flavours. I used raspberry tim tams for hint raspberry taste (like the jelly bits), mini m&ms for the candy beanies, covered them in cadbury milk chocolate and sprinkled with popping candy. These were delicious and very much enjoyed by everyone! 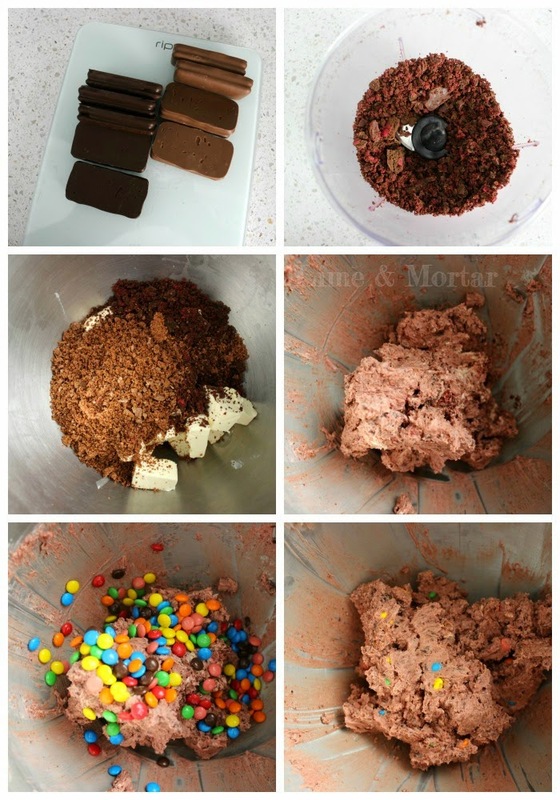 1) Place 5 raspberry tim tams and 4 double coat tim tams into food processor and blend. 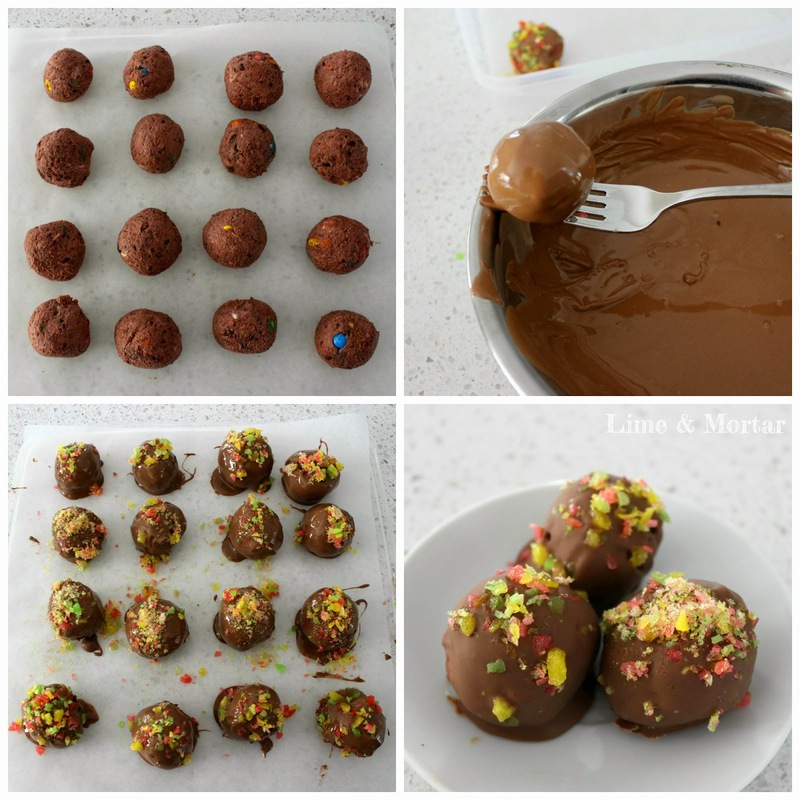 5) Melt the cadbury melts over boiling water, roll each ball in the melted chocolate and place onto a tray lined with baking paper. 7) Remove balls from fridge when ready to serve. These will go soft if left out when warm as they are cheesecake centres. Oh my word!!! These look astonishing!! Im going to make asap. Love cheesecake. Thanks so much. Lucky my kidlets are in bed otherwise they'd be standing beside me with their eyes popping out of their heads, trying to climb through my computer screen to get to your cheesecake balls, hehehe. They look and sound fantastic! 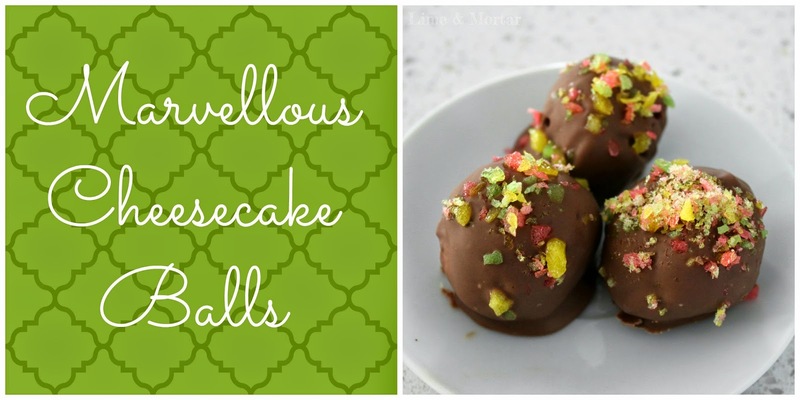 Such a delicious treasure to have in our Fabulous Foodie Fridays Party this week, thanks for joining in the fun.